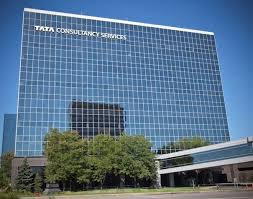 TCS iON, a strategic unit of Tata Consultancy Services (TCS), a leading global IT services, consulting and business solutions organization, today announced that Indian Institute of Management Bangalore (IIMB) will partner with TCS iON to facilitate proctored exams for IIMBx MOOC courses. IIMB will leverage TCS iON’s extensive proctored assessment capability to conduct exams across the country. Initially, the exams will be conducted at TCS iON's state-of-the art digital zones in Bangalore, Mumbai, Delhi and Kolkata with three examination cycles planned during the year. TCS iON and IIMB also announced the ‘Management Educators Hub’, a unique initiative that will host specialized collaboration communities in the discipline of management for educators who have a shared passion for continuous innovation in learning and teaching. The ‘Management Educators Hub’ will be hosted on TCS iON Digital HUB (www.tcsionhub.in), an online Content Market Place that aims to connect professional institutions and publishers offering rich content with other institutions and individuals who want to learn and upgrade their skills to grow. To start with, IIMB will launch and moderate seven communities on the ‘Management Educators Hub’ focusing on Marketing, Human Resources (HR), Managerial Economics and other key disciplines of management. The ‘Management Educators Hub’ will help foster conversations on innovative teaching methods and collaborate on ideas addressing its challenges and solutions. With an aim to seek participation from all management educations, the Hub will invite educators from business schools across India to be part of this unique community.